WHAT IS GRAPHIC RECORDING? 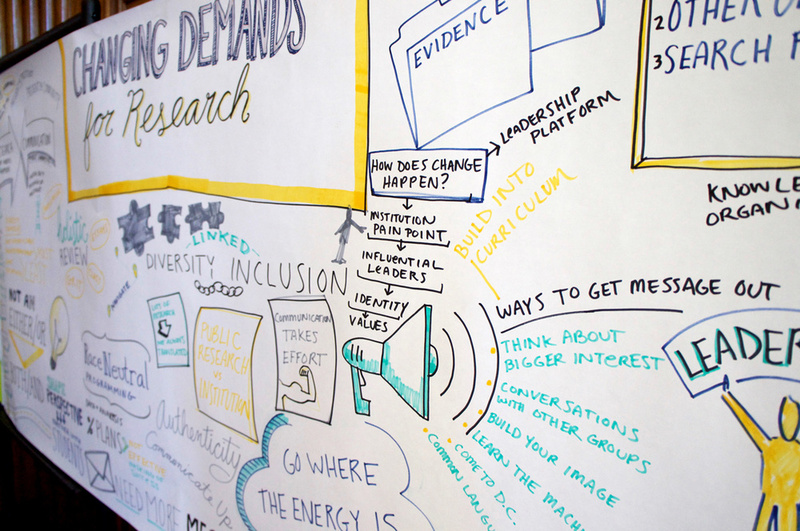 Graphic Recording combines illustration and data to change the vantage point of information. It documents ideas and conversations as they are being said, evolving into a visual map of a meeting, conference or lecture. A multitude of skills are needed to do this effectively, including listening and distilling information, representing a flow of ideas with visual cues and design, and of course, an ability to create symbols and graphics that relate to the topics being discussed. The end result is impactful and informational! 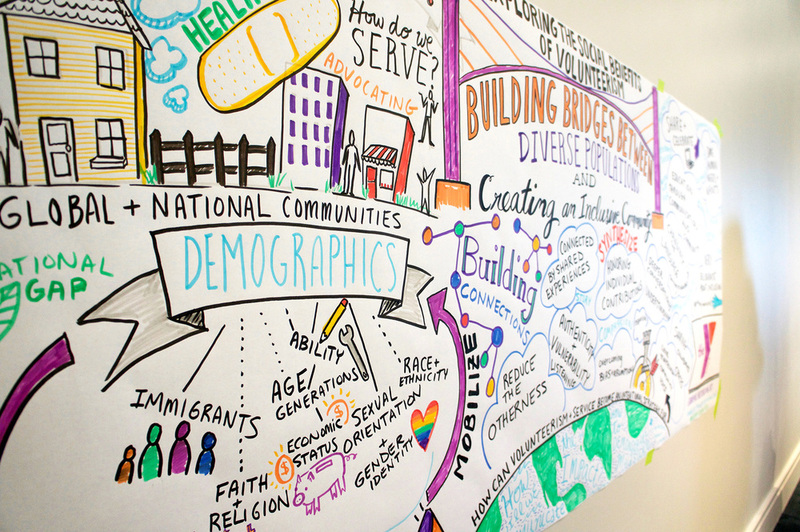 I offer graphic recording services in packages starting at $310, with options such as various sizes of paper or whiteboard and a tangible infographic design after the event to continue the discussion. Located in Matthews, North Carolina, my primary areas of services are Charlotte, Greensboro, Raleigh, Asheville, and nearby locations in South Carolina, but I am open to travel for full and multi-day events. please use this form to contact me or send specific questions to brittany@twoifbyseastudios.com for a quote.